Satisfaction Through Christ founder, Christie, began writing in this space in 2009 as a personal blog. Christie and her husband were beginning their adoption journey, and dedicated this space to updates about their young family. Eventually, through a blog reader, they connected with the agency who brought them their first baby girl in 2011. In 2013, another blog reader, led them to their second beautiful daughter! So it follows that Christie’s heart is for the readers here at STC who have been such a big part of her life for the past several years! Early 2014 brought a time of increased prayer about this space, and about what God had next for Christie and her family. Within months Christie obeyed her new, prayer backed vision for Satisfaction Through Christ by inviting several passionate Christian women to come teach and encourage alongside of her. During the transition Christie surrendered Satisfaction Through Christ to God’s plan saying, “I knew that I had been getting away from what I had initially set out to do here and more than ever I wanted God’s will to be done here, not mine.” Since April of 2014 Christie and the contributing authors here at STC have prayed God’s will over this space and encouraged wives, mothers, and families toward satisfaction in our Creator. The goal of STC Blog is to glorify the Lord in every way and to minister to this precious community of Christian women. We are striving with you toward true Satisfaction Through Christ and Christ alone. STC would love to pin with you! 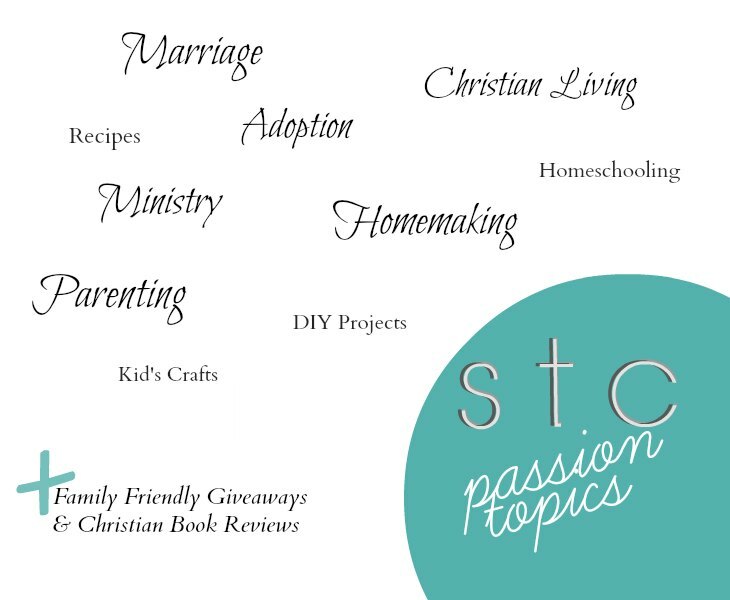 You’ll find our boards cover dozens of topics from parenting to DIY, from marriage to worship, or from homemaking to social media. Follow Christie H.’s board Satisfaction Through Christ – New and Recent Content from STC Blog on Pinterest.